Kasey Kahne is not a Hollywood actor but he is very well known in the NASCAR community. He is the reason I started watching the sport in the first place. He began his racing career at the young age of 17 when he raced open wheel sprint cars. He’s had a total of 12 wins since he started to race in 2004. 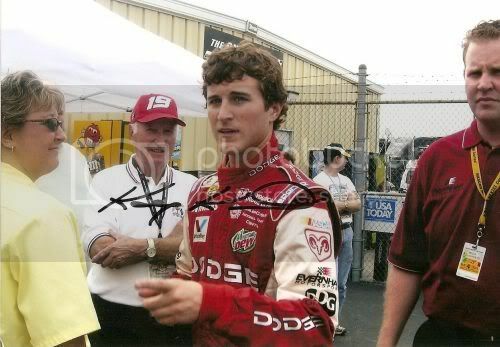 He owns his very own race team, Kasey Kahne Racing, that competes in the World of Outlaws series. Watching NASCAR inspired a book I wrote called Love In The Fast lane. I hope to release it sometime next year. so do you watch NASCAR? Who’s your favorite driver? I love Kasey Kahne, although I’m a Matt Kinseth fan. I’ll look out for your book. Sounds great! I love NASCAR and racing stories. Oh, I wish I’d watch NASCAR… in my case would be just see Kases. He’s cute! love his hair. Ciara, I never use to watch it either and then I got into it so much. Bonnie, oh yes he is..I agree with you there. Larissa, I can’t wait for the NASCAR book to come out..I love the sport. Cecilia, he is adorable. this is an older pic but he still looks hot. I LOVE Nascar! My favs are Jimmie Johnson, Jeff Gordan, Dale Jr. and to round out the Hendricks team, Kasey Kahne! He’s very cute, Savannah, even though I have no interest in NASCAR. Here in Australia we only see the spectacular crashes. But I unfortunately was diagnosed with a Heart Condition & cannot go to the Races anymore. 🙁 We bought a 73” TV to watch them on. One good thing, we don’t have to worry about bad weather, re-delays, sunburn & drunks…..but there is NOTHING like Experiencing a Race Live, especially at Daytona Beach, FL or Bristol, TN. Kasey Kahne had a Fantastic Weekend that just passed; He finished 7th in the Sprint Cup Series on Saturday and 3rd in the Nationwide Series on Friday at Texas Motor Speedway. Then Kasey went to Rockingham, N.C. on Sunday (NASCAR’s return to Rockingham Speedway for the 1st time since 2004) for a successful triple weekend by taking over 1st place on lap 155 of 200 to Win the Truck Series, his fourth win in five starts in the Truck Series. You Go Kasey!!! OMG Savannah, you wrote a NASCAR inspired Book!!!!!! called “Love In The Fast Lane”, Ohhhh Sweetie, you have to get that Baby Released!!!!!! LOL I CAN’T WAIT to Read that Book!!!!! Ranae, wow that is a cool job..I would have loved to do that..If you ever do write a story tell me…. Love it when something inspires a story – so looking forward to reading it 🙂 I’ve always enjoyed car racing. Great post Savannah! Ann, I do as well. I get inspired but some fun things…I can’t wait for it to come out. Believe it or not, I don’t like NASCAR – don’t tell my friend Val though – she’d kick my buttocks.